Generation AK. The Afghanistan Wars 1993–2012 is a retrospective selection of images of the country where Stephen Dupont has covered everything from civil war and the rise of the Taliban in the 1990s, to the launch of ‟Operation Enduring Freedom” and the ongoing war on terrorism. Dupont completed much of this work on self-funded trips and as part of one of the last small independent photographic agencies, Contact Press Images, of which he has been a member since 1997. In 2008 Dupont survived a suicide bombing while travelling with an Afghan opium eradication team near Jalalabad. 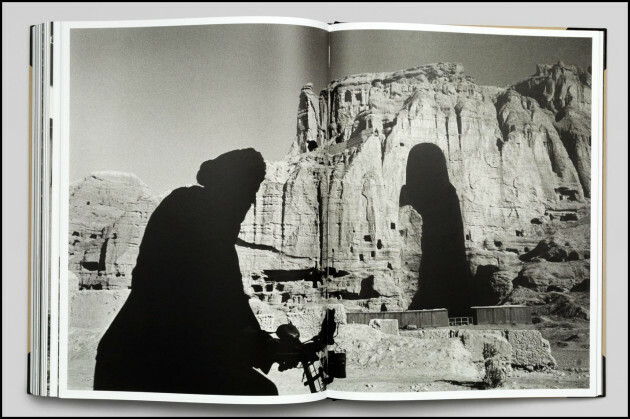 Recently, Dupont won both the Australian Photobook of the Year Award (Trade Published) and the POYI Best Photography Book Award for the book. Stephen Dupont, born in 1967 in Sydney, is an award-winning photographer and documentary filmmaker. He is internationally recognised for his work in some of the world’s most dangerous areas, including Afghanistan, Iraq, Papua New Guinea, Israel, India, Rwanda, and Angola. His photographs and handmade artist books are collected by some of the leading institutions such as the New York Public Library, Library of Congress, British Library, Yale and Harvard Universities.